To include the script tag in the page head, I take advantage of head contributions. I then dynamically add the element to the DOM in the embedded script. The @ftlvariable directives at the top are there as a hint to code completion in IntelliJ IDEA. 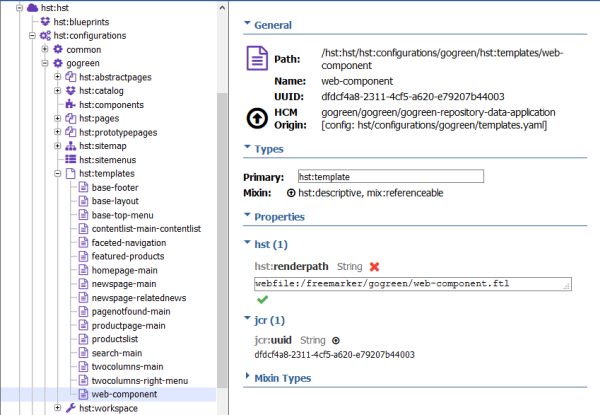 adding and hst:renderpath property with a value of webfile:/freemarker/gogreen/web-component.ftl to the newly created node. Set Element Name to the name of the element as specified in the Stencil component, e.g. my-component. 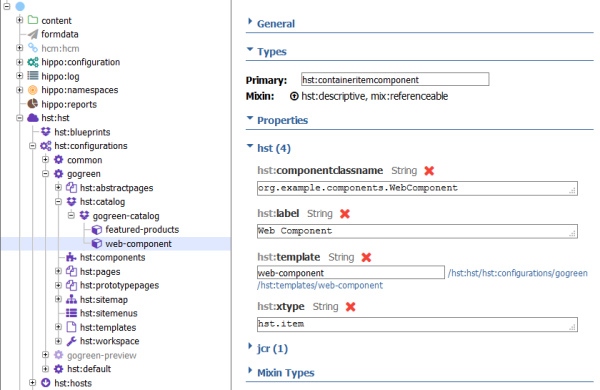 Once you publish the changes, the web component should render on the portal.